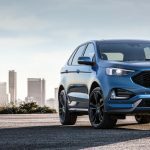 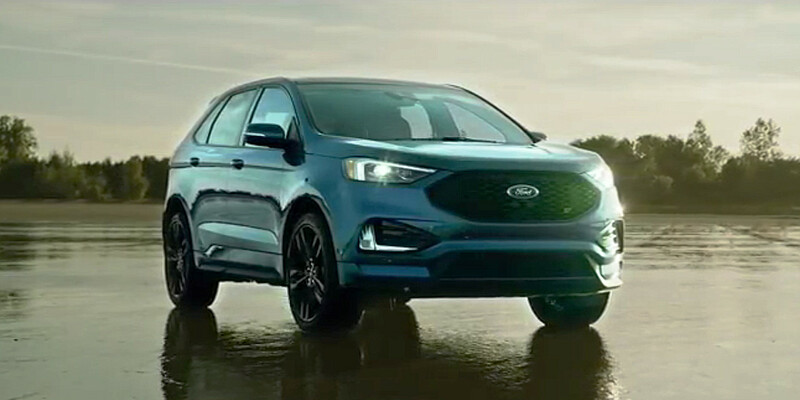 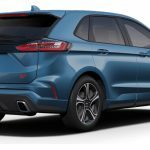 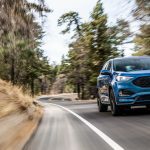 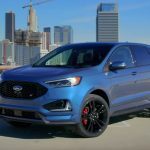 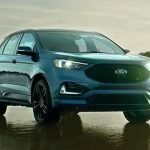 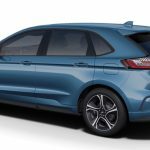 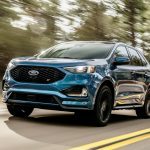 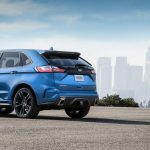 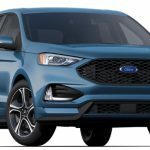 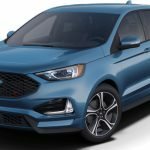 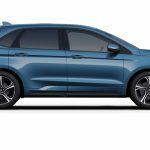 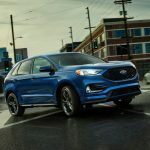 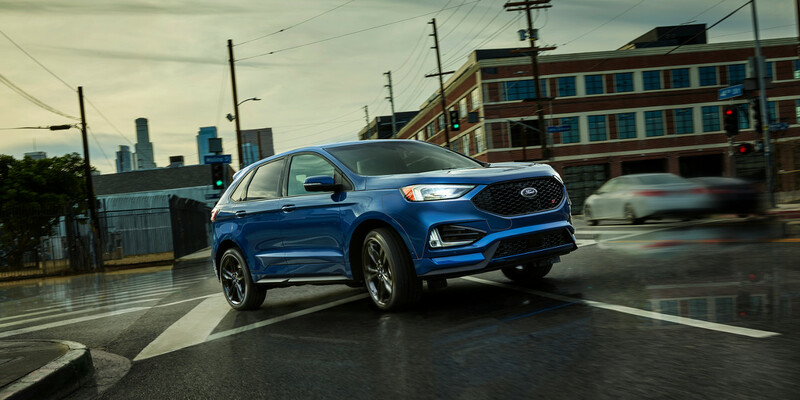 The 2019 Ford Edge adds four new exterior colors to its color palette: Baltic Sea Green, Stone Gray, Agate Black and Ford Performance Blue. 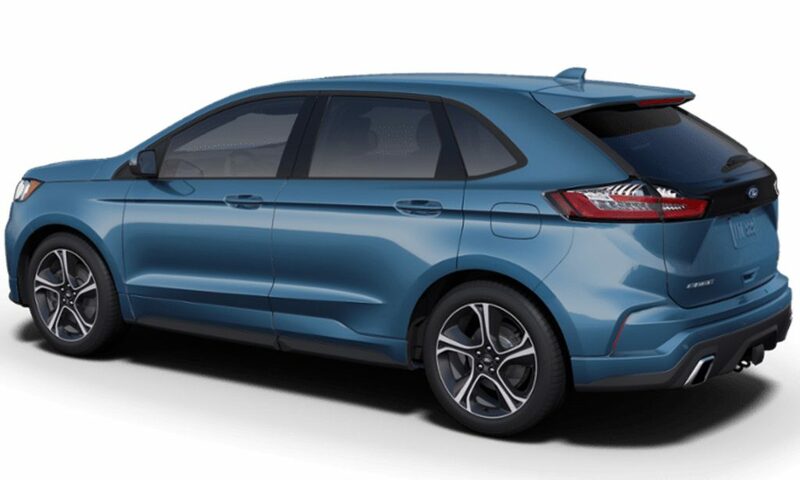 Here’s our first look at the new Performance Blue hue. 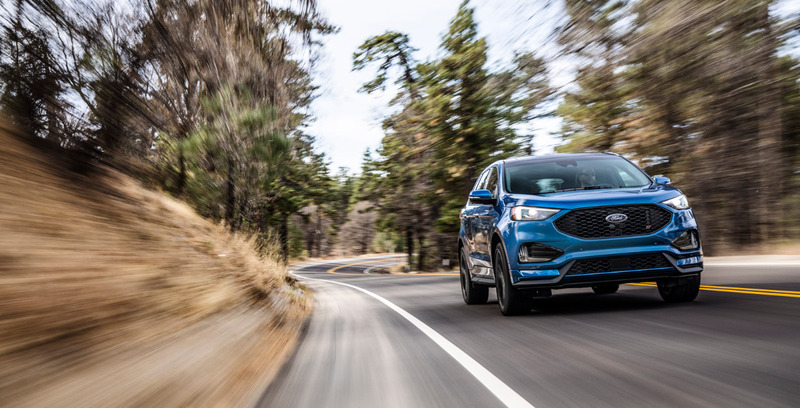 Assigned order code FM, Ford Performance Blue is one of two blue hues available for the 2019 Ford Edge. 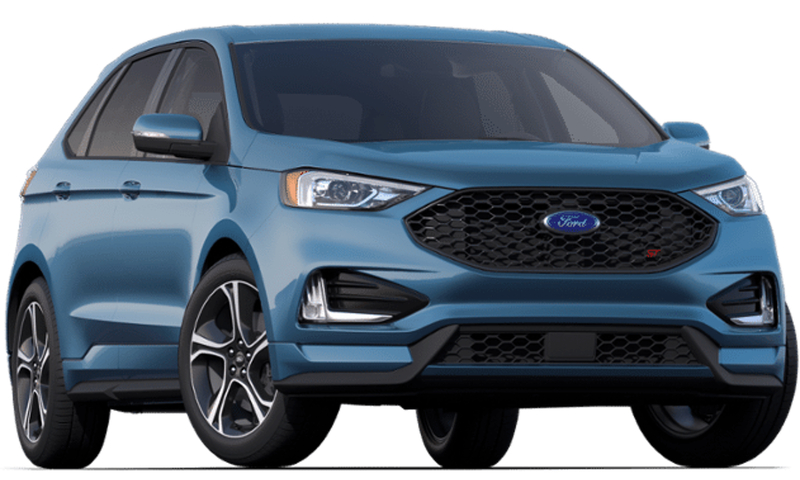 The new Ford Performance Blue color is available only on the Edge ST, which is offered exclusively in the Ebony with Miko Suede interior color combination. 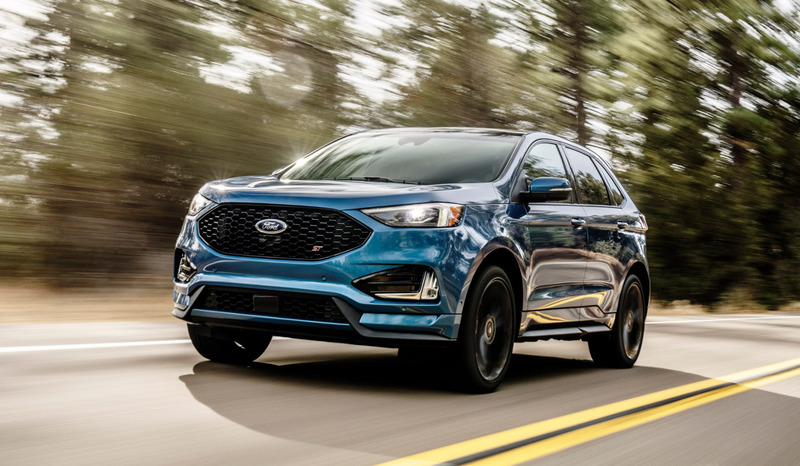 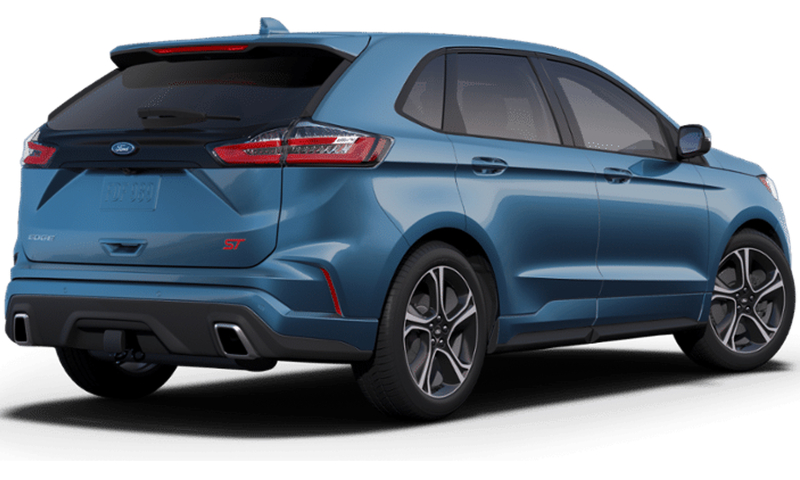 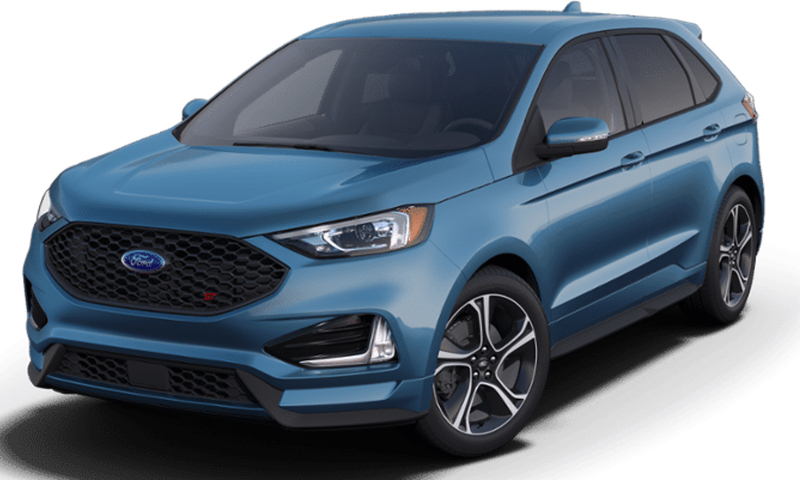 The Performance Blue color is included in the base price of the 2019 Ford Edge ST.
As of this writing, the 2019 Ford Edge is already available at the retail level, since the Oakville Assembly plant in Ontario, Canada has been churning out the vehicle for the past few months. 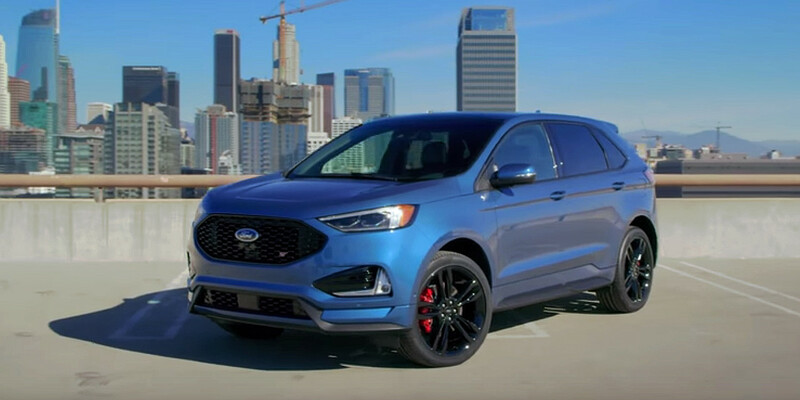 Models in the Ford Performance Blue exterior color are already on dealer lots. 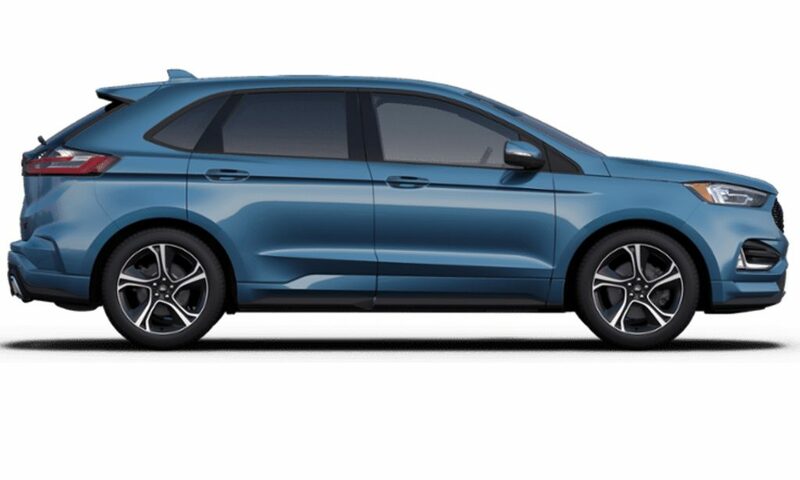 Availability varies by dealer, so be sure to check with yours for complete details.